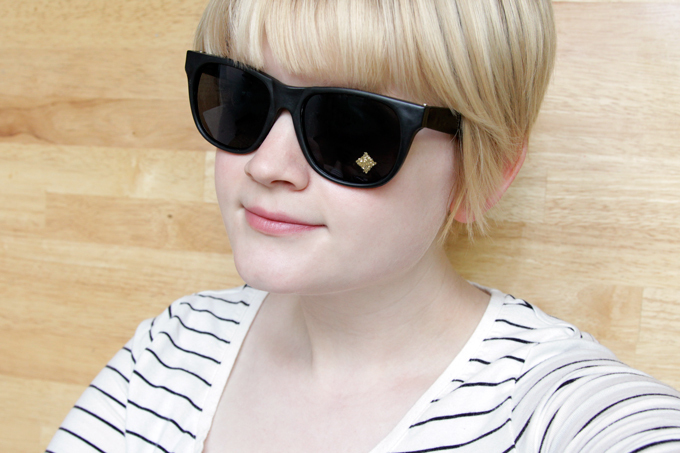 I’m loving how this new pattern turned out, you guys! 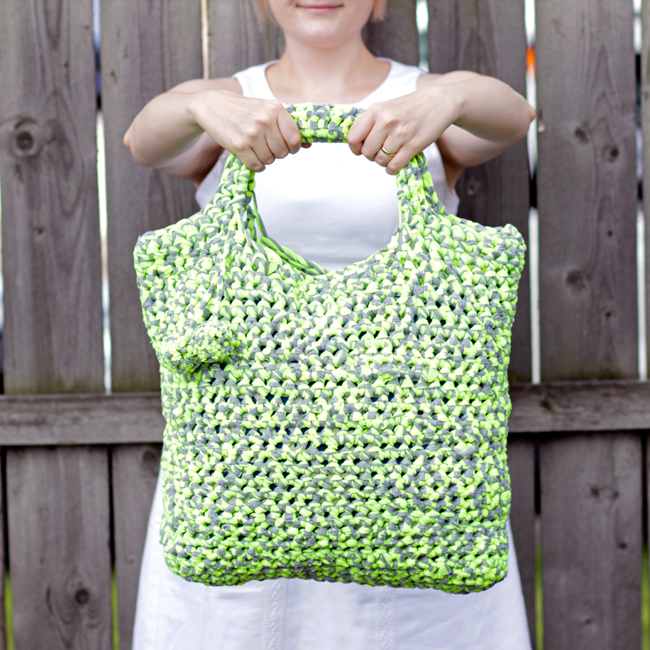 It’s an easy crochet tote pattern, perfect for summer. Roughly 16x16x8 inches, it holds a ton of stuff for the perfect summer day hitting up the farmer’s market, the library or the beach. 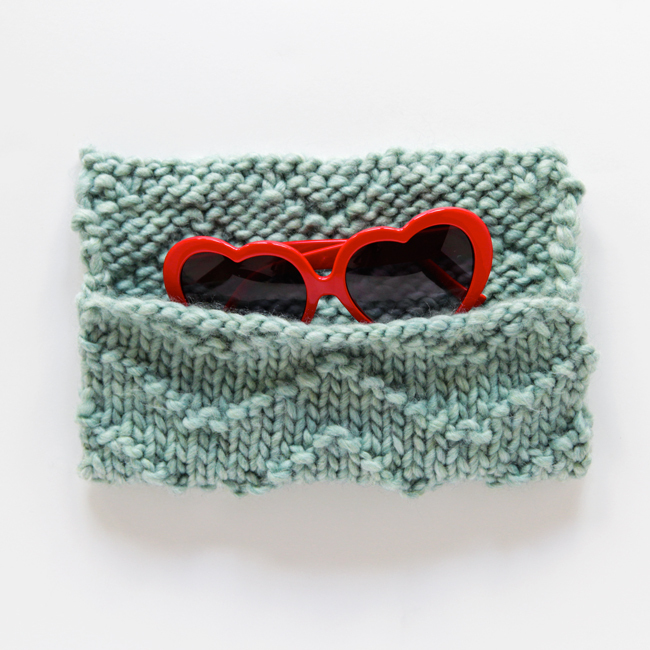 This chunky bag is an awesome & fun way to use fabric yarn if you’ve never tried it, and the pattern is great for beginners! 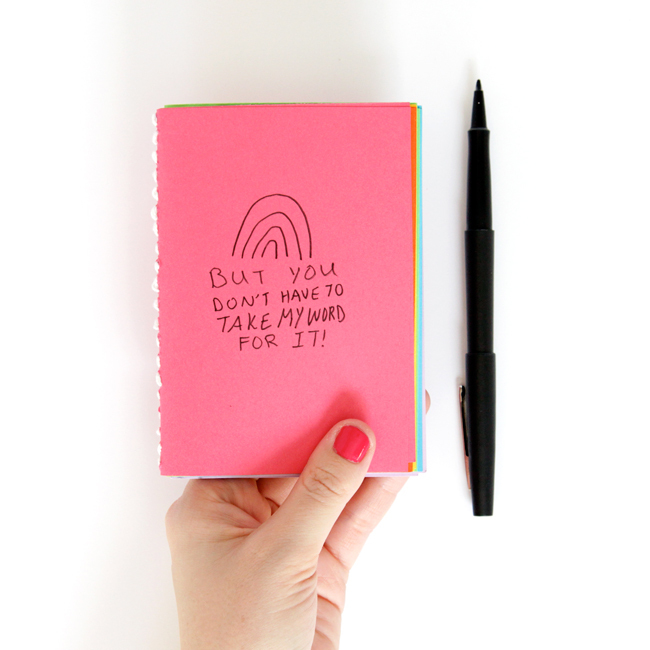 Last week’s Reading Rainbow Kickstarter launch made quite the splash. It ushered my beloved childhood TV show back into the zeitgeist, and apparently, into my creative brain. Between that and the imminent start of summer reading, I have got books on the brain! 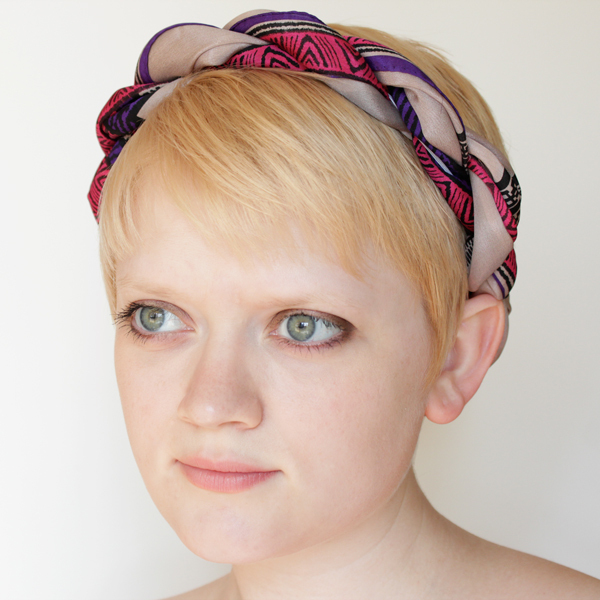 Temporarily morph a favorite scarf into a cute headband with a bit of elastic thread. 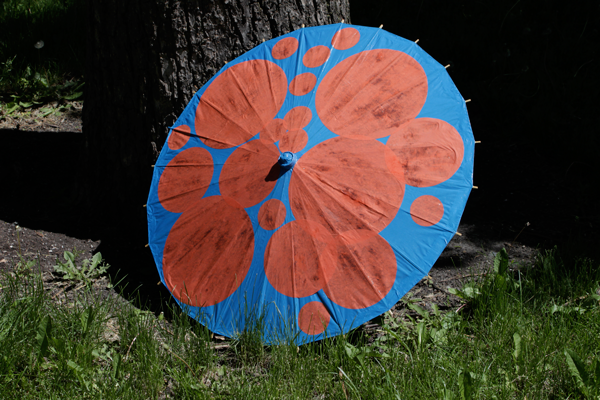 Makeover a tired or broken paper parasol with tissue paper and Mod Podge! 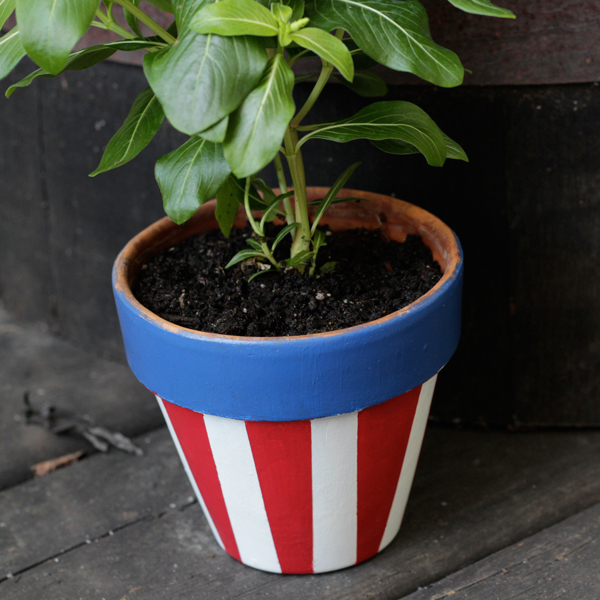 This simple, patriotic DIY would make the perfect hostess gift or add an adorable touch to your Fourth of July decor. 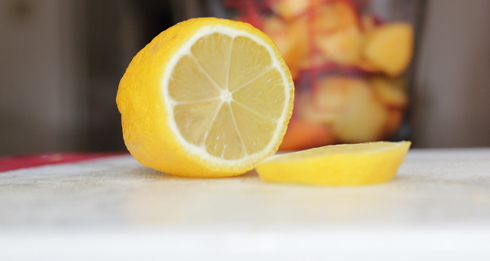 Chop up some fruit, pop in the fridge with some wine, and enjoy the longest day of the year! 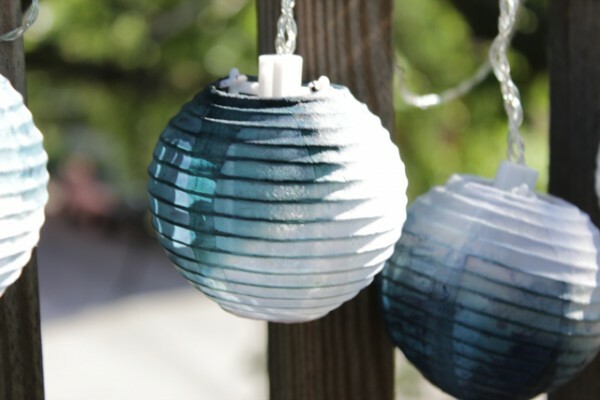 Learn to dip dye nylon lanterns and enter to win your own set of lanterns to try this project with!